The first Baby Boomers are now 70 years old. The first generation into fitness and free love is facing the inevitable breakdowns that come with age: forgetting things, aching joints, and being treated like doddering fools by those who don't know us better. The solution? Take a look at yourself and laugh. This book will make you smile at your own lapses, will help you to appreciate that you still have a lot going on, and will offer advice you may find useful. Have some coffee Get a dog Listen to your music A fun read for anyone past the age of 50, or for younger folks who wonder what all the complaining is about. 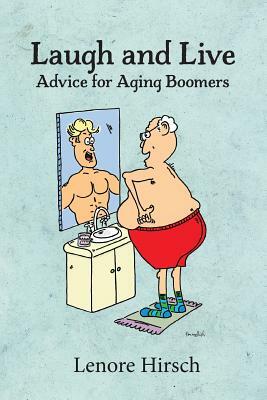 Perfect birthday gift for Boomers you love.